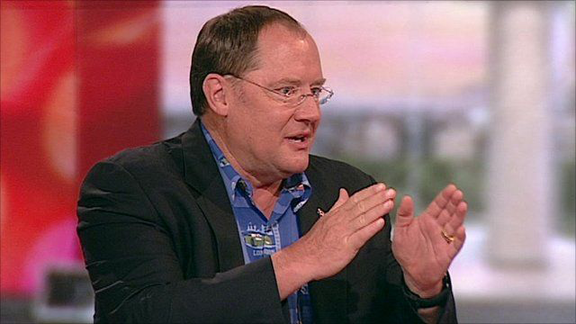 There has been much speculation about the future of disgraced Pixar and Disney chief creative officer John Lasseter. Lasseter took a 6-month sabbatical from the company last November following allegations of inappropriate behaviour, including "unwanted physical contact and grabbing, kissing, making comments about physical attributes". Rumours were suggesting that some in the company's management were looking at trying to bring him back in capacity. This (understandably) in turn lead to a large backlash, with the #LoseLasseter campaign picking up steam among many industry insiders, commentators and fans. It has now been officially announced that Lasseter will be leaving for good- but not until the end of the year. In the meantime, he will be employed in a "consulting role", during which time he will not have an office at the company. Although it is definitely the right move to remove him from the company (no amount of creative influence can excuse such behaviour) it does seem a little like he is being allowed to leave on his own terms, which is not really fair to those affected by his actions. No statement has been made about who will be taking over his role in future, but a New York Times report says that Pete Docter is expected to take on a bigger role at Pixar, and that Frozen co-director Jennifer Lee will be promoted at Disney. This should mean that the creative future of the company is in safe hands- although it would be good to see new voices too. More importantly, we can hope that events like this, and the huge cultural shift happening in the #MeToo and #TimesUp movement will see changes which lead to the animation industry becoming a more inclusive and welcoming place for everyone.